It was pretty much 'love at first bite'. That dripping juice that just seems to roll down the side of your mouth whenever you munch down on it is just heaven. I died with every bite. 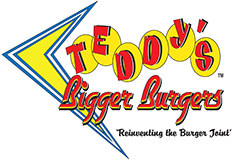 I should’ve given Teddy’s a chance earlier—their burgers are amazing. I’m usually choosy with this type of food, but holy cow ... I loved theirs! We may take a bit longer but it WILL BE WORTH THE WAIT! Hours vary by store. Please see the locations page for full hours.